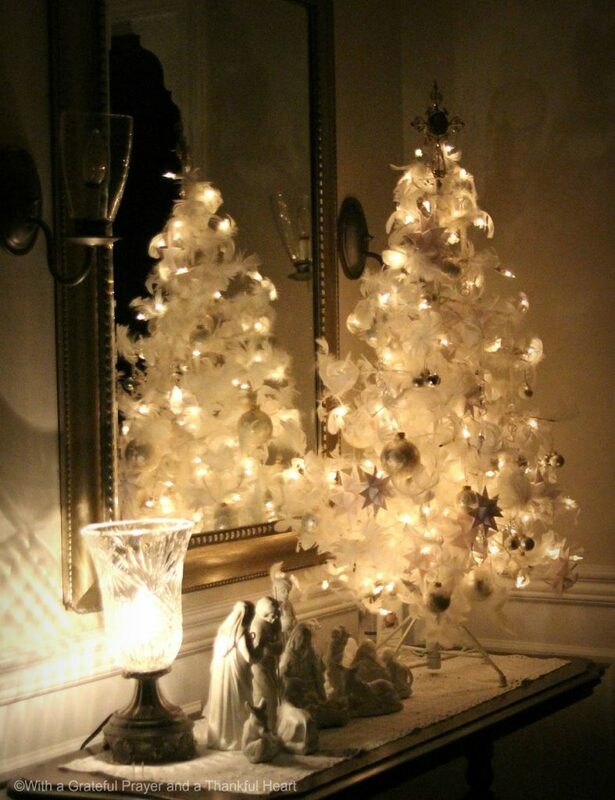 Your home is beautiful Lorraine…I love your dining room tree!! 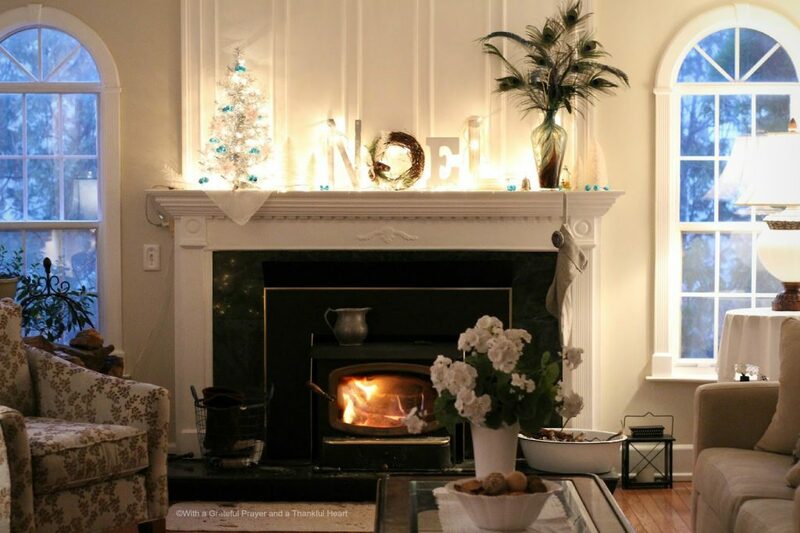 Love your mantle. It's so pretty. I know you hate to take it down. I think I'd leave it up a while. What a lovely, cozy, welcoming home you have! Who wouldn't want to walk through that front door, or sit in front of the fire, or curl up in a chair in the living room! You have such a touch when it comes to creating ambience and beauty. Thanks so much for sharing it with us. Merry Christmas dear friends! Wishing you joy and blessing with your family and friends! Your house is so beautiful! Love all the white, such a clean and crisp look and so warm and welcoming! Merriest of Christmases! Your home is just stunning! Merry Christmas to you and your family. How beautiful! 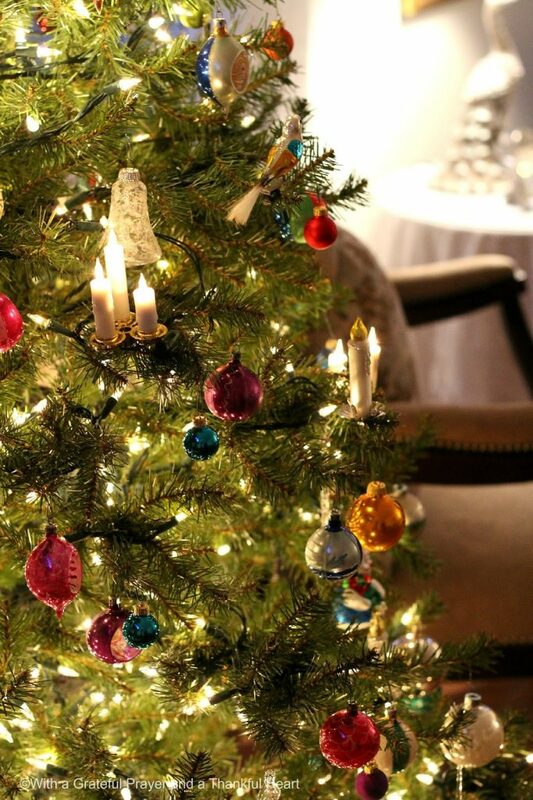 Wishing you and your family a wonderful Christmas! 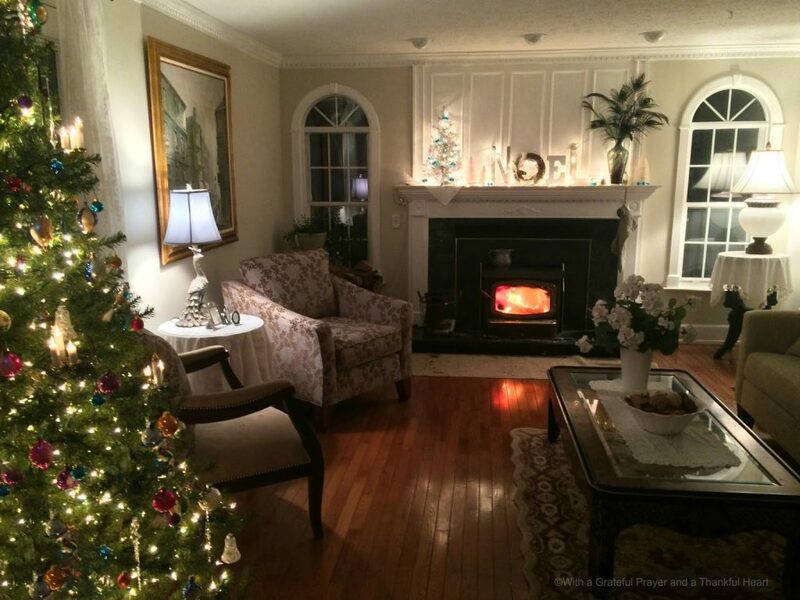 Your house looks so peaceful and serene, Lorraine, and I love what you posted today. Have a beautiful time celebrating our Savior's birth. 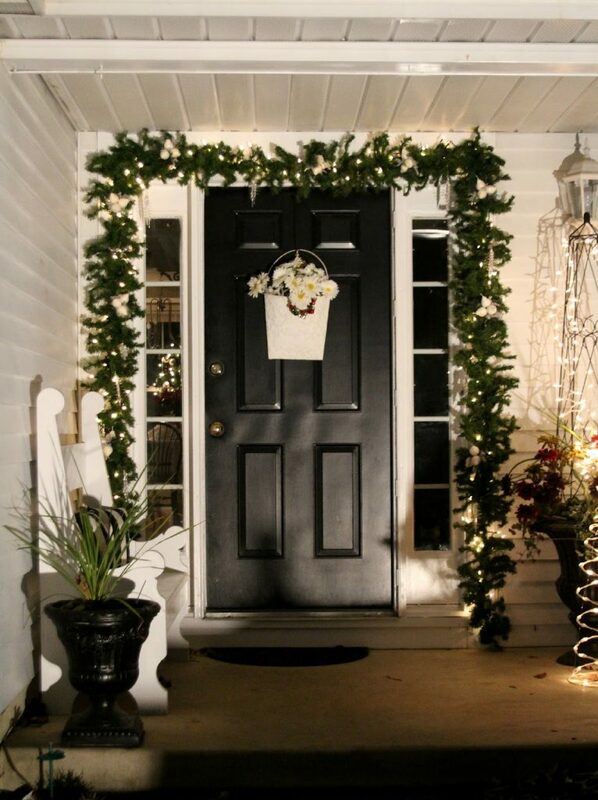 Your house looks gorgeous, not over done but just with the right lovely Christmas touches. Wishing you and your dear family a wonderful and blessed Christmas. Soo beautiful! Wishing a very Merry Christmas to you and yours! 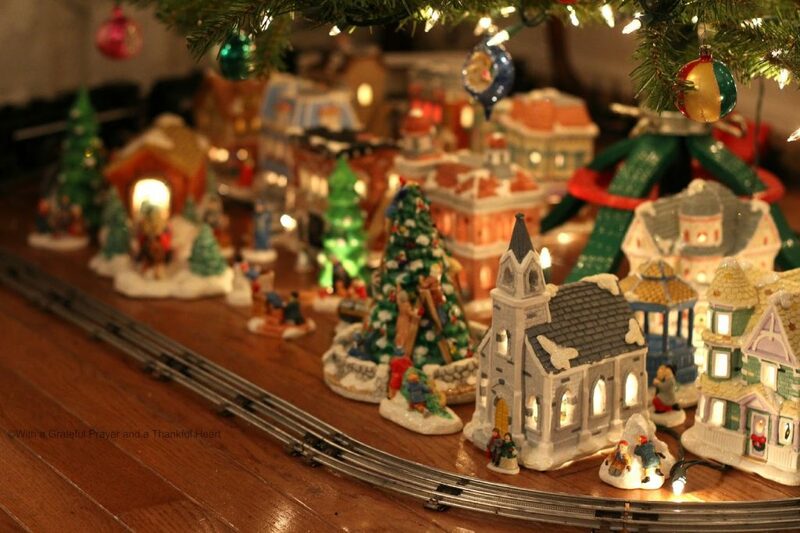 Such beautiful Christmas decorations, Lorraine…and I love the quote at the beginning. May you and your family have a blessed Christmas! So very beautiful, Lorraine. May you enjoy a beautiful and blessed Christmas, and a happy, healthy Nw Year. Beautiful home for Christmas. 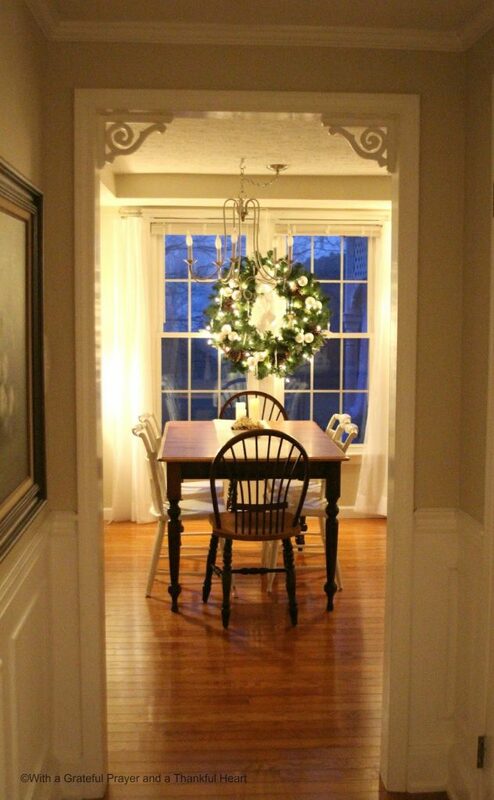 I especially am fond of your dining room tree. 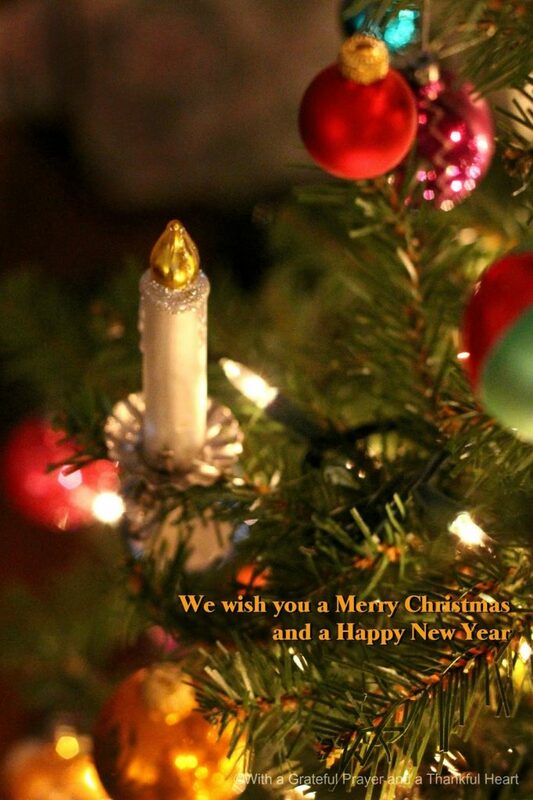 God bless you and yours this Christmas. Your home is lovely! 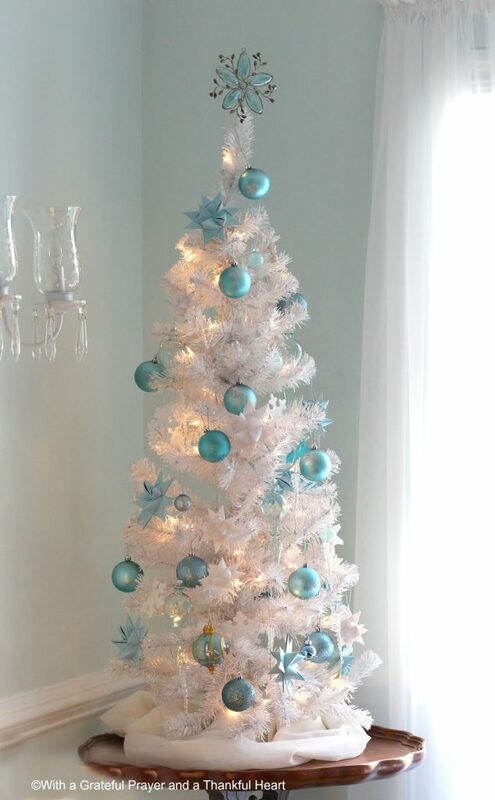 Merry CHRISmas! May your Christmas be filled with much love, joy & peace.